All our SFPs are not only backed by a lifetime warranty and are fully compliant with MSA standards, but most importantly, match OEM transceivers in performance and reliability. Engineered to deliver what you need most in your network connections: reliable performance. Built and tested to OEM specifications and reliability tested to eliminate deployment headaches. No catches or hassles; easy product replacement — we stand behind our SFPs. Wide distribution and sales network allows easy standardization on StarTech.com SFP products across multiple geographic locations. Downloadable resources to help you find the right SFP modules for your network. Offering everything from 10 Mbps to 40 Gbps, StarTech.com provides reliable and seamless network solutions through our SFPs and Direct Attach Cables. Combine StarTech.com transceiver modules and cables to ensure your network operates with maximum performance and reliability. Offering a wide selection of SFP+, QSFP+ and breakout cables, all backed by a lifetime warranty and free lifetime technical support, StarTech.com provides the convenience and reliability you need to ensure dependable network performance. Switching to our SFP products does not void your networking equipment warranty. Consumers might assume that they are obligated to purchase specific, OEM branded SFPs to protect their equipment warranty. The Magnuson-Moss Act of 1975 (Section 102 c), the Provincial Consumer Protection Acts and the Canadian Competition Act (section 77) protect American and Canadian consumers, stating that the warrantor may not tie the validity of the warranty to the use of particular products or services. You can be confident that StarTech.com SFPs will not void your OEM warranty. We are ready to assist you with any pre-purchase technical questions you may have. This means all of our SFP modules work with any compatible networking equipment, not just Cisco, HP and Juniper. MSA standards create an open marketplace for SFP and SFP+ transceiver modules, providing customers with a wider choice of products and competitive pricing - resulting in cost savings. 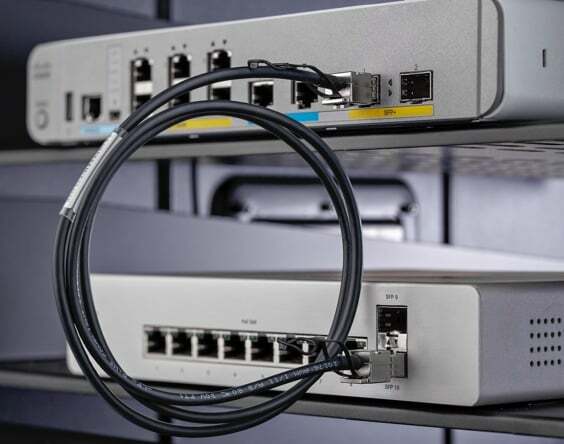 The standards give you the assurance that SFP modules manufactured by StarTech.com are identical in form factor and functionality to the equivalent Cisco, HP or Juniper SFP. Made to exacting MSA standards, StarTech.com SFP modules provide reliable performance when used with Cisco, HP, Juniper and all other brands of compatible networking equipment. Small Form-Factor Pluggable (SFP) and enhanced SFP+ optical transceivers are standardized technologies, manufactured to comply with Multi-Source Agreement (MSA) standards. The MSA is an agreement among competing industry manufacturers to build products that are compatible across multiple vendors of networking equipment (Ethernet switches, routers, and media converters). All elements of the SFP or SFP+ including the mechanical and electrical interface are specified by a Multi-Source Agreement.